United Nations, New York, USA, April 05 2016 – Paloma Duran, Director of the Sustainable Development Goals Fund at the UN Development Programme (UNDP) during Alejandro Aravena, Chilean architect and winner of the Pritzker Architecture Prize for 2016 press encounter on the link between architecture and sustainable development today at the UN Headquarters in New York. 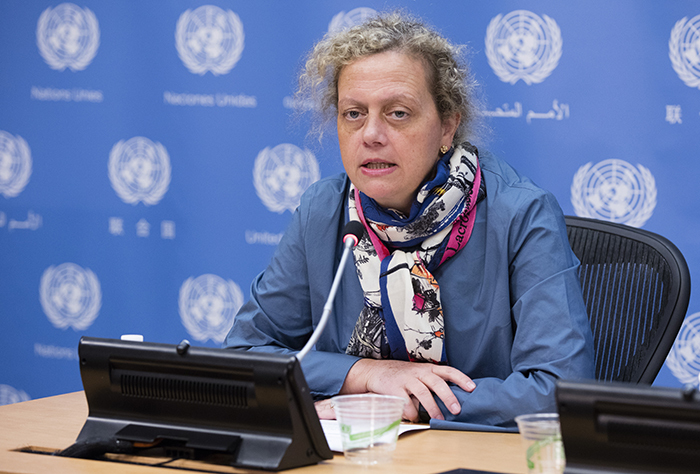 future SDGs,“ Paloma Duran, Director of the SDG Fund, told Europa Newswire. include sustainability, gender equality and public/private partnerships. three to four UN agencies produces the best results. on how countries, regions and businesses incorporate the Global Goals in their work. private sector to achieve inclusive markets and environmental sustainability. Advisory Group and recently launched a new report, “Business and the United Nations“. Goodwill Ambassadors of the new 2030 agenda.